Bashing Trump is a favorite pastime of mine and that of many of my friends. To be sure, there are plenty of reasons to despise the man: His obvious racism, misogyny, narcissism, nepotism, corruption, his authoritarian tendencies, just to name a few. But putting the focus on these characteristics leads us to miss a very important point. As a Republican president, Trump delivers. He does precisely what his base (who did elect him, after all) were hoping for. Putting conservative justices on the Supreme Court, who might reverse Roe v. Wade and other landmark “liberal” decisions? Check. Sabotaging Obamacare? Check. Making a stand against immigration? Check. A protectionist economic policy? Check. Standing up even against the Republican establishment in Washington? Check. Trump’s base, by the way, also happen to distrust liberal democracy, and may not be adverse to a more authoritarian, strongman-style rule, so long as it is their strongman. As such, they are far less alarmed by the ease with which Trump gets along with other strongmen and the difficulty he has with the leaders of liberal democracies that are America’s traditional allies. This may even be seen as part of his “alpha male” personality, a sign of his strength. 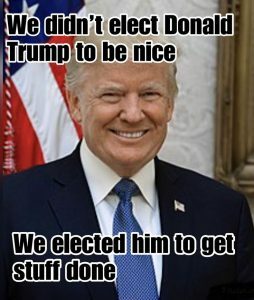 So even if we take the hatemongering, Islamophobia, racism and other unsavory factors out of the equation, Trump is to many a dream come true: He is delivering precisely what they hoped to see from a Republican president. And it is because of this that they are willing to turn a blind eye to Trump’s personal shortcomings. It may appear hypocritical, but ultimately, it’s just good old political pragmatism. Is left-wing populism the answer? Supporters of Bernie Sanders undoubtedly think so. But I have my doubts. Why would left-wing populism be any better than its right-wing counterpart? In both cases, we end up with leaders who are dilettantes and demagogues. The problem these days (and this issue is not confined within the borders of America; look at Europe, or look right here, at the Canadian province of Ontario) is the collapse of the center. The end of fact-based governance by an increasingly despised technocratic “elite”. The irony of it is that this liberal world order, for all its failings, kept the world together with no major conflict for the past 70-odd years, a golden age of possibly unprecedented growth and prosperity. (And not just in the first world; just look at global statistics of life expectancy, literacy rates, and other measures that show just how much life improved throughout much of the planet since 1945.) Yet not only is it rejected, it is rejected most vehemently by those who benefited from it the most. There was another, similar golden era of near unprecedented growth and prosperity: The second half of the 19th century, all the way up to 1914. Yet even as more and more thinkers were convinced that the era of wars between major powers is a thing of the past, the world was heading towards the disaster called the Great War, which plunged the world into chaos, destroyed the prevailing world order, created the circumstances for the rise of the twin evils of communism and fascism, and eventually led to a second world war and the industrial-scale mass murder of the Holocaust. I don’t know where the world is heading today, but I admit I think about 1914 a lot. A while back, I wrote about the uncanny resemblance between the interstellar asteroid ‘Oumuamua and the fictitious doomsday weapon Iilah in A. E. van Vogt’s 1948 short story Dormant. 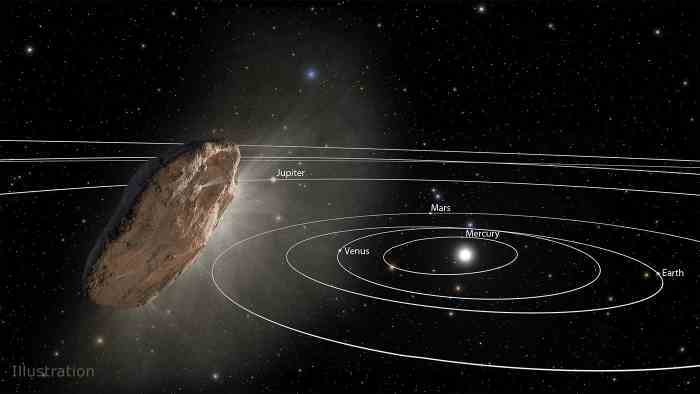 And now I am reading that Iilah’s, I mean, ‘Oumuamua’s trajectory changed due to non-gravitational forces. The suspect is comet-like outgassing, but observations revealed no gas clouds, so it is a bit of a mystery. Even if this is purely a natural phenomenon (and I firmly believe that it is, just in case it needs to be said) it is nonetheless mind-blowingly fascinating. I am reading a year-and-a-half old article in The Nation, written by Susan McWilliams about the prophecies of a 50 year old book coming true. 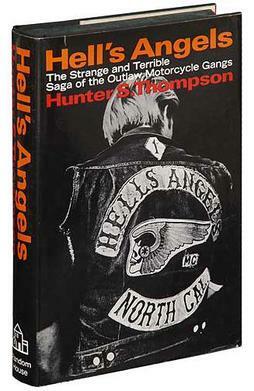 The book is Hunter S. Thompson’s Hell’s Angels: The Strange and Terrible Saga of the Outlaw Motorcycle Gangs. The article makes a compelling argument that Thompson’s observations aptly describe the rise and reasons of success of “Trumpism”. As I was reading its paragraphs, I was reminded of conversations I had recently with supporters of Trump. The sentiment of “total retaliation” described in the article closely captures my experience. What I saw was an automatic, almost visceral distrust of anything “liberal”. Trump supporters embrace things like racism not because they are racist, but because it is a way to piss off, to troll “liberals”. They reject things like climate science mainly because it comes from a scientific establishment that is seen as liberal, hence inherently untrustworthy. Most compellingly, my conversations confirm the article’s main point: Trumpists are not looking for solutions because they do not really believe that solutions exist. Hence the ethos of “total retaliation”: nothing matters anymore, so long as they can piss off those lefty liberals some more. Children in detention camps? Great, look how those nasty liberals are squirming. The First Lady wearing a jacket with a questionable message? Look, she is even better at trolling liberals than her husband! Self-defeating tariffs on Canadian steel and aluminum? Excellent, that will really piss off that wacko commie Trudeau and his cult of personality in liberal haven Canada. 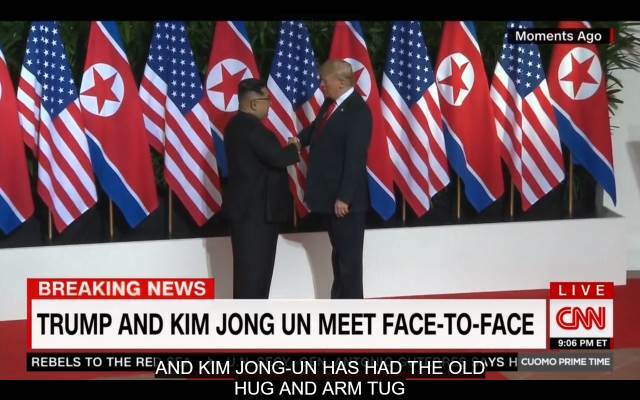 Let our alpha male leader show that wimp who the boss is! In short, there is no point being a good sport when the game is rigged against you. You might as well just piss on the playing field and storm off in anger. Punching a few random folks who stand in the way helps driving the point through. Trump, Brexit, the rise of governments mistakenly labeled as “populist” in Europe, but which really distinguish themselves by being anti-science and anti-immigrant, presenting the media or human rights and antipoverty organizations, all perceived as bastions of the liberal world order, as the enemy; they all fit the picture drawn by McWilliams, base on the prophetic words of Thompson. I never read Thompson’s book, but now I feel compelled to look for a copy. Donald J. Trump is a very vain person. His vanity knows few limits. He even had his properties decorated with a fake TIME magazine cover, featuring his image. Therefore, he must feel very proud now that TIME decided to use his picture on the cover of next week’s issue. Congratulations, Mr. Trump. You earned it. Here is a sobering statistic based on some Gallup data. 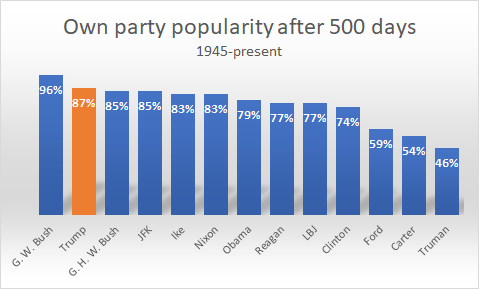 The only president ever who was more popular among same party followers than Trump was… George W. Bush. Yes. 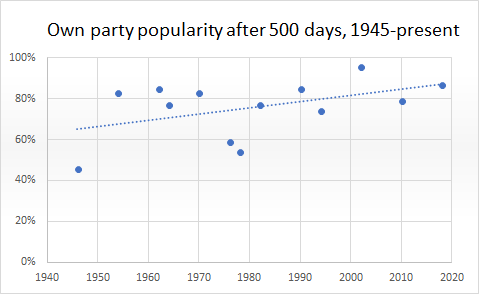 More popular than JFK, Ike, Obama or Reagan, 500 days into the presidency. The trend seems unmistakable. After WW2, voters were, it appears, more skeptical. Presidents were approved based on their deeds more than their party affiliation. This appears to have changed in the past 70 years. Now, party affiliation matters more. Then again… What if Truman, Ford, Carter, G. W. Bush are all outliers? After all, in all their cases the circumstances were unusual, exceptional even. Take them out and what we are left with is a pretty steady approval rating in the vicinity of 80%, give or take. I don’t know. With a data set of only 13 data points, throwing four away as outliers is a bit excessive. I decided to watch Fox News a little this morning. The topic was the separation of children from their parents at the US border. Here is what I learned: The problem is not new. And it is all about optics they tell me. 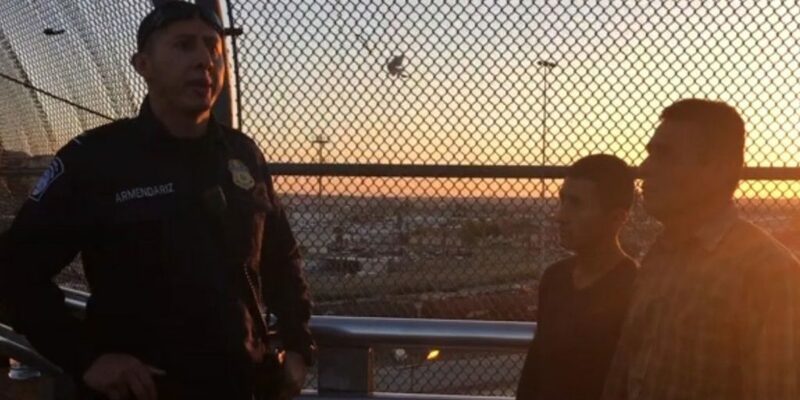 That is to say, Barack Obama faced the same problem, his team even discussed the “zero tolerance” policy, but rejected it because it would have looked bad. In contrast, Donald J. Trump does not care about optics. He is willing to take the heat to do the right thing and enforce the law. He is a person who is seeking solutions instead of hiding from problems. 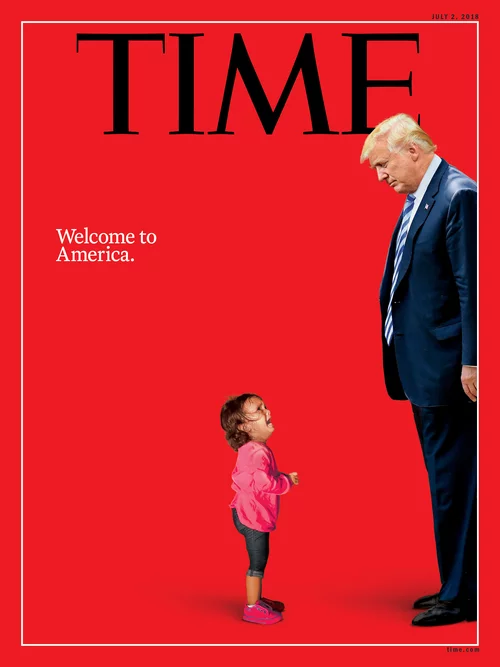 In short, when he institutes a policy to separate children from their parents, he is a hero who protects America’s core values better than his meek predecessor. Mind you, I think Fox is wrong about optics. The optics were pretty bad during the Obama years, too. 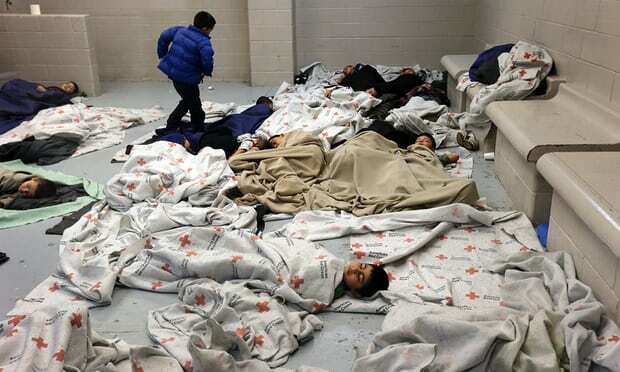 Here is a delightful picture of unaccompanied children sleeping on the floor of a border protection facility back in 2014. Incidentally, the term I used as the title of this blog entry is wholly appropriate. The camps where these children are housed represent a textbook definition of concentration camps for children. When I was a teenager, the classic novel, The Count of Monte Cristo by Alexandre Dumas, was one of my favorites. And one of my favorite chapters in that book was a chapter with an uncanny (not to mention unusually long) title: “How a Gardener May Get Rid of the Dormice that Eat His Peaches”. In it, Dumas describes a classic hack: exploiting the human in the system. 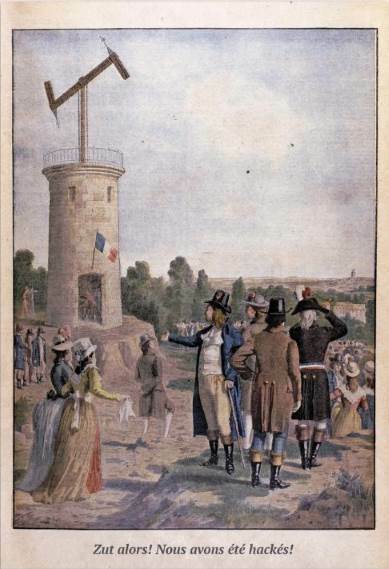 By bribing an operator of France’s early optical telegraph network, the book’s protagonist is able to plant a false message, which ultimately contributes to the downfall of one of his mortal enemies. In short: a targeted cyberattack on a telecommunications network. What I did not know, however, is that this chapter may have been inspired by real life events. About ten years before Dumas published his novel, the brothers François and Louis* Blanc managed to hack the telegraph network in a manner even more sophisticated than the hack described in Dumas’s book. Yes, the real-life hack relied on bribing operators, too, but it also involved a case of steganography: inserting a coded message that would piggyback on the original telegraph transmission. Not only did the scheme succeed, like any good hack it remained in place and undetected for two years. And when it was finally detected, the Blanc brothers were charged but never convicted; there were, after all, no laws on the books back in the 1830s against misuse of data networks. *Well, that’s what Wikipedia tells me. It appears that the twins are misidentified as Francois and Joseph in several English-language publications. Francois was later known as The Magician of Monte Carlo, a casino that he owned and where he first introduced the single-0 style roulette wheel. I admit I despise both gentlemen in this picture, albeit for different reasons. However… if this meeting has a positive outcome, I will cheer when they are both awarded the Nobel peace prize. 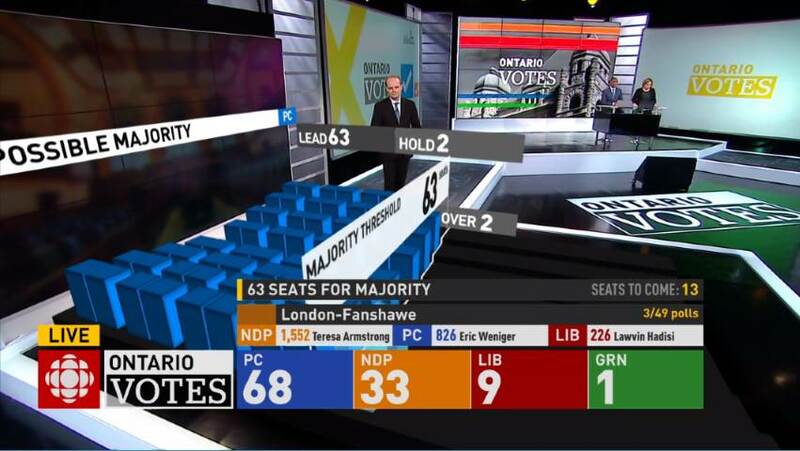 When Doug Ford won the provincial election a few days ago, I expressed my concern that this election (together with the elevation of the NDP to official opposition status and the collapse of the Liberals) was a victory of populism over the moderate center. Thank you, Mr. Ford. It would have been easy to score populist brownie points with a disparaging tweet. I noticed that more than a few of your followers scolded you for not doing so. Instead, you opted for the high road. That gives me reason for cautious optimism. The other day, I came across a wonderfully false analogy from a conservative writer. In an attempt to explain why conservatives despise Planned Parenthood in the United States, he asked how people on the opposite end of the ideological spectrum would feel if gay conversion therapy was offered in publicly financed clinics throughout the country. I felt compelled to respond. 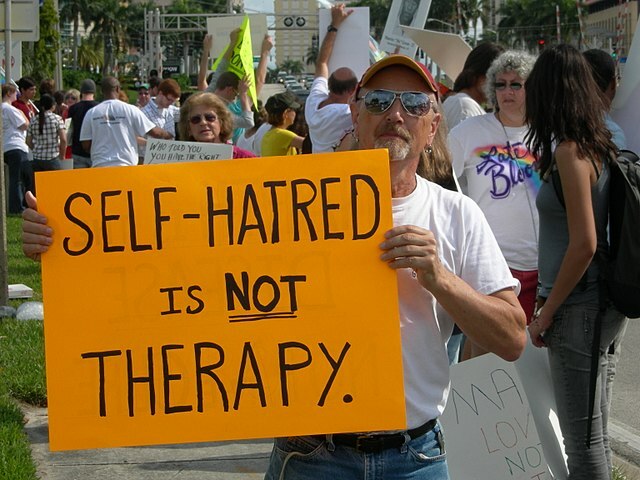 Because if “gay conversion therapy” actually worked, I personally would have absolutely no objections to such clinics being offered to any gay person wishing to change their sexual orientation, even funded by government. As things stand, however, “gay conversion therapy” is bogus, junk science, as nonsensical as creationism or belief in a flat Earth, almost as harmful as anti-vaxxers. Its real purpose is not to “cure” gays (which it cannot do) but to perpetuate bigotry and the marginalization of homosexuals in certain religious communities. For this false analogy to work, abortions would have to be junk science, too, with clinics not actually being able to terminate unwanted pregnancies, but successfully perpetuating bigotry and hatred towards women with such pregnancies. But that is not what abortion clinics do. Rather, for better or for worse, they deliver exactly what they promise: ending unwanted pregnancies. This may be found objectionable on moral or religious grounds, but again, to draw the proposed analogy you would have to show how folks opposed to “gay conversion therapy” actually want gays to remain gay against their will on moral or religious grounds. Because that’s what abortion opponents want: They want pregnant women to remain pregnant against their will. I have now concluded that Donald J. Trump, the lawfully elected President of the United States of America, is a traitor to his country and a traitor to the West. Quite possibly, a true Manchurian Candidate. It is not about left or right, not about liberals vs. conservatives. He is a traitor, pure and simple. He is doing immense damage to the Western alliance, and his actions will likely result in immense damage to America’s economy and political standing as well. The dilettantism that characterizes his government (his State Department just mentioned D-day as an example of the long-running US-German relationship) is also reminiscent of the incompetence and dilettantism that plunged the world into more than half a century of chaos in 1914. But openly snubbing the G-7, refusing to agree to the joint statement, and trash tweeting our Prime Minister goes beyond mere incompetence. This is treason. 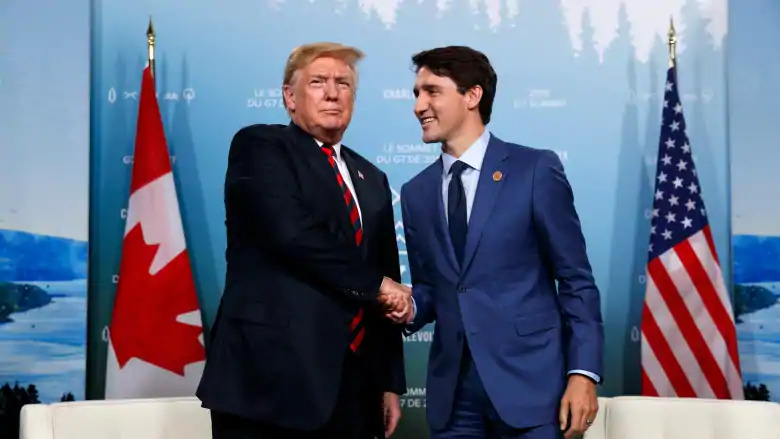 Forget Canada, forget the Western alliance, this is treason because of what it does to the United States of America and its standing in the world. Some folks suggested that if Trump is impeached, Mike Pence would be worse. I beg to disagree. Mike Pence may be a hardline conservative, but he is no traitor. Mr. Trump, on the other hand, is a clear and present danger to everything the West stands for. I hope American lawmakers finally find the moral courage to remove this treasonous jackass from office. Before it is too late. Well, Doug Ford, Donald Trump’s Ontario mini-me: it looks like the province is yours. May you wield your powers a little more wisely than the orange person south of the border. The headlines are screaming. 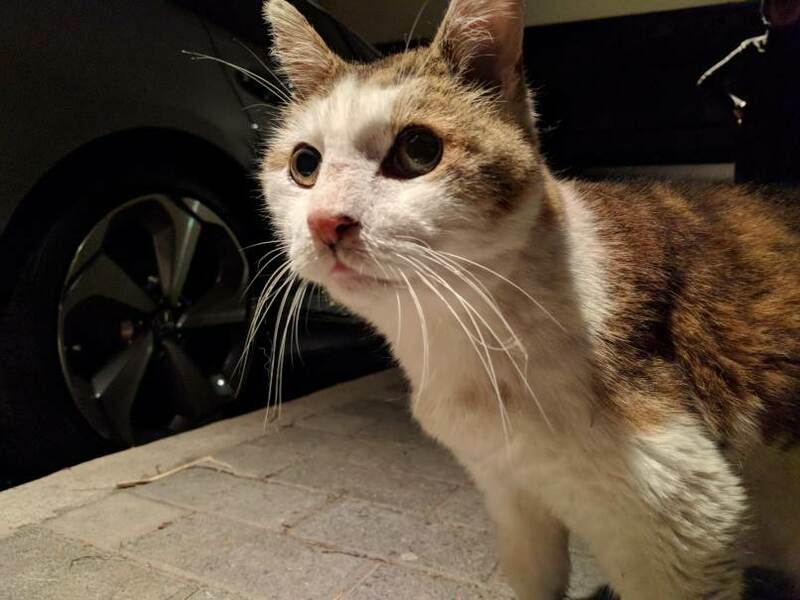 Evidence found of a New Fundamental Particle, says one. Strange New Particle Could Prove Existence of Dark Matter, says another. Or how about, A Major Physics Experiment Just Detected A Particle That Shouldn’t Exist? The particle in question is the so-called sterile neutrino. It is a neat concept, one I happen to quite like. It represents an elegant resolution to the puzzle of neutrino handedness. This refers to the chirality of neutrinos, essentially the direction in which they spin compared to their direction of motion. We only ever see “left handed” neutrinos. But neutrinos have rest mass. So they move slower than light. That means that if you run fast enough and outrun a left-handed neutrino, so that relative to you it is moving backwards (but still spins in the same direction as before), when you look back, you’ll see a right-handed neutrino. This implies that right-handed neutrinos should be seen just as often as left-handed neutrinos. But they aren’t. How come? Sterile neutrinos offer a simple answer: We don’t see right-handed neutrinos because they don’t interact (they are sterile). That is to say, when a neutrino interacts (emits or absorbs a Z-boson, or emits or absorbs a W-boson while changing into a charged lepton), it has to be a left-handed neutrino in the interaction’s center-of-mass frame. If this view is true and such sterile neutrinos exist, even though they cannot be detected directly, their existence would skew the number of neutrino oscillation events. As to what neutrino oscillations are: neutrinos are massive. But unlike other elementary particles, neutrinos do not have a well-defined mass associated with their flavor (electron, muon, or tau neutrino). When a neutrino has a well-defined flavor (is in a flavor eigenstate) it has no well-defined mass and vice versa. This means that if we detect neutrinos in a mass eigenstate, their flavor can appear to change (oscillate) between one state or another; e.g., a muon neutrino may appear at the detector as an electron neutrino. These flavor oscillations are rare, but they can be detected, and that’s what the MiniBooNE experiment is looking for. 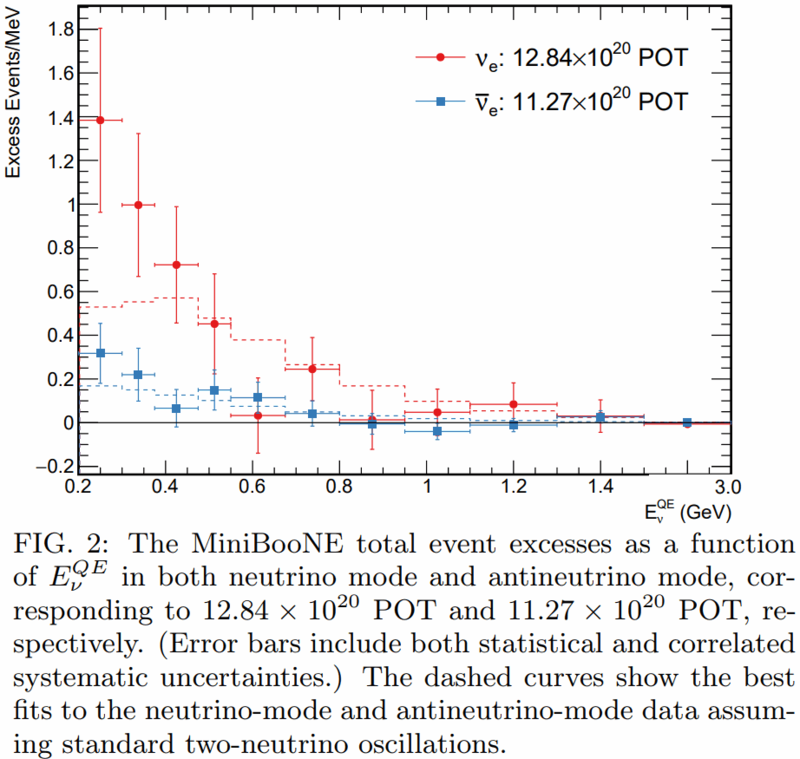 And that is indeed what MiniBooNE found: an excess of events that is consistent with neutrino oscillations. MiniBooNE detects electron neutrinos. These can come from all kinds of (background) sources. But one particular source is an intense beam of muon neutrinos produced at Fermilab. Because of neutrino oscillations, some of the neutrinos in this beam will be detected as electron neutrinos, yielding an excess of electron neutrino events above background. And that’s exactly what MiniBooNE sees, with very high confidence: 4.8σ. That’s almost the generally accepted detection threshold for a new particle. But this value of 4.8σ is not about a new particle. It is the significance associated with excess electron neutrino detection events overall: an excess that is expected from neutrino oscillations. Yes, these two data points are intriguing. Yes, they may indicate the existence of new physics beyond two-neutrino oscillations. In particular, they may indicate the existence of another oscillation mode, muon neutrinos oscillating into sterile neutrinos that, in turn, oscillate into electron neutrinos, yielding this excess. Mind you, if this is a sign of sterile neutrinos, these sterile neutrinos are unlikely dark matter candidates; their mass would be too low. Or these two data points are mere statistical flukes. After all, as the paper says, “the best oscillation fit to the excess has a probability of 20.1%”. That is far from improbable. Sure, the fact that it is only 20.1% can be interpreted as a sign of some tension between the Standard Model and this experiment. But it is certainly not a discovery of new physics, and absolutely not a confirmation of a specific model of new physics, such as sterile neutrinos. So yes, there is an intriguing sign of an anomaly. Yes, it may point the way towards new physics. It might even be new physics involving sterile neutrinos. But no, this is not a discovery. At best, it’s an intriguing hint; quite possibly, just a statistical fluke. So why the screaming headlines, then? I wish I knew.